Radon is a radioactive gas that’s linked to around 300 cases of lung cancer in Ireland every year. It’s a colourless, odourless and tasteless gas that builds up in homes, schools and workplaces. So how do you know if it’s in your home and what can you do about it? Carbon monoxide is often known as the ‘silent killer’. On average, six people in Ireland die each year because of unintentional carbon monoxide poisoning. Carbon monoxide is colourless and odourless, making it difficult to detect. But there is another, much more common poisonous gas seeping through homes - radon. The deadly build-up of this radioactive gas is linked to around 300 cases of lung cancer in Ireland every year. 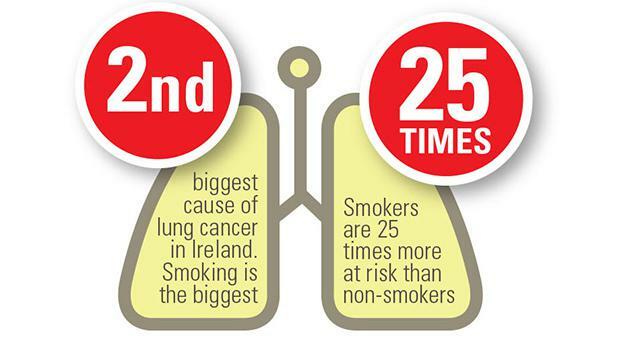 In fact, exposure to radon is second only to smoking as the leading cause of lung cancer in Ireland. Like carbon monoxide, it’s colourless and odourless and, of course, difficult to detect. Radon is a gas that is formed in the ground when uranium breaks down. Uranium is found in all rocks and soils. Radon is slowly released into the atmosphere, where it becomes diluted to harmless concentrations. However, it can be deadly when it is trapped in buildings and if it builds up, it can lead to an increased risk of lung cancer for the occupants over time. It’s especially a problem in some areas where there is granite, shale or limestone geology. On average, Ireland has twice the indoor levels of radon gas (77 Bq/m3) when compared to the European average (39 Bq/m3). The areas that are worse affected are counties Sligo, Carlow, Waterford, South Tipperary, Galway, North Kerry, Wexford, Louth, Tipperary, Mayo, Clare and Wicklow but every county in Ireland has High Radon Areas. You can check whether your home is in a High Radon Area on the EPA’s interactive map on the website. A High Radon Area is any area where it is predicted that 10pc or more of homes will exceed the acceptable level of 200 Bq/m3. Any area that is coloured light or dark brown on the map is categorised as a High Radon Area. Testing for radon is very simple and the Environmental Protection Agency (EPA) provides a list of EPA registered measurement services on the website. A testing kit will be posted to your home and one radon detector is placed in a bedroom and the second in a living room. The detectors are small, about the size a biscuit. They remain in the home for three months and are then returned by post. In the event of a high reading, reducing radon levels is also very straightforward. The EPA provides a list of registered remediation services and work is usually completed in one day. Radon sumps are installed from outside the home so that there is no need to dig up internal floors. Galway homeowner, Dr Clare Kambamettu, tested her home and found very high radon levels, 15 times higher than the acceptable level. “Naturally, we were very worried about that,” she said. “This was our home. It was a house that we bought, that we love, that we plan to stay in for a long time and hopefully have a family in”. Dr Kambamettu went on to have her home remediated (a job that took two hours) to fix the problem and the radon in her home has now been reduced to very low levels. Protect your family’s health by taking a simple and inexpensive radon test as soon as possible. Give yourself and your family peace of mind and take the radon test today. 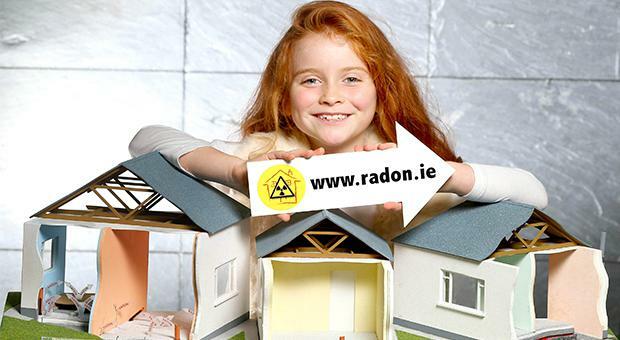 The EPA provides a list of registered radon measurement services on radon.ie that sell radon testing kits for between €40 and €60. If you have already tested your home and know that you have high radon levels, contact the EPA to find out how easy it is to reduce radon in your home. The EPA provides a list of registered remediation services that will carry out work to reduce radon in your home. You’d be surprised how simple it is.